Find a vacation home to rent in Les Angles from our list of vacation rental properties. Campaya has over 10 vacation homes available in Les Angles, which give you the possibility to locate a unique accommodation in Les Angles which completes your check-list in search for the perfect self catering vacation apartments in Les Angles or vacation villas in Les Angles. This beautiful holiday home with swimming pool welcomes you 42km from Nîmes and will be perfect for a relaxing stay under the sun of Gard. 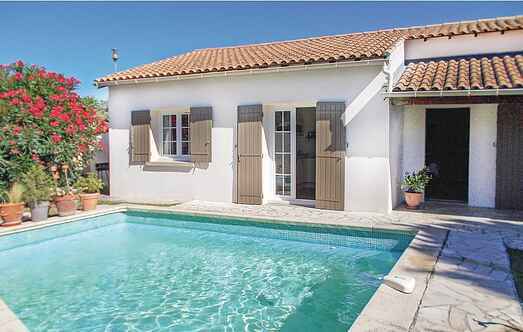 This lovely two bedroom villa benefits from a quiet location, just 2 km from the historic centre of Avignon. You will immediately be seduced by the beautiful pool of this splendid holiday home which awaits you 2.5km away from Avignon. 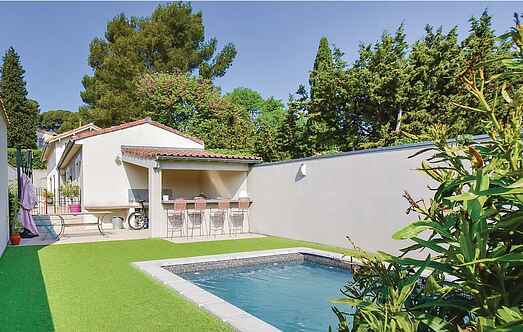 Very nice holiday house with a private pool situated only 8km away from the center of the beautiful city of Avignon and its famous Palais des Papes. This beautiful holiday home is wonderfully situated close to the small town of Les Angles, just 3km from Avignon. This pleasant holiday home with private pool welcomes you on the right bank of the Rhone, at the doors of the beautiful walled city of Avignon. This elegant three bedroom holiday home is situated in the town of Les Angles, just 6km from Avignon and 7km from Rochefort du Gard. This beautiful stone-built villa is located on the outskirts of Les Angles.